The parents of the famous Duggar family will answer questions about the Josh Duggar molestation scandal in an interview on Fox News this week. Jim Bob and Michelle Duggar will speak with Fox anchor Megyn Kelly at their home in Arkansas, and the interview will air on Kelly's 9 p.m. program on Wednesday, Fox announced on Saturday. Josh Duggar and the other children on the family's reality show "19 Kids and Counting" will apparently not be a part of the interview. A representative for the family did not respond to a request for comment. The wholesome family appeal of the Duggars was contradicted when In Touch Weekly reported last week that Josh Duggar molested several girls, including family members, when he was a teenager. He subsequently issued an apology, which read in part, "Twelve years ago, as a young teenager I acted inexcusably for which I am extremely sorry and deeply regret. I hurt others, including my family and close friends." Jim Bob and Michelle Duggar said in a Facebook post that they "were shocked" when Josh confessed to them about his wrongdoing. Questions continue to swirl about the victims; about whether the parents responded appropriately to Josh's actions; and whether the family members are hypocrites, given their publicly espoused views about purity. "19 Kids and Counting" has been taken off TLC's schedule, and it is unlikely that new seasons of the show will be produced. One source connected to the show said earlier this week, on condition of anonymity, "The show's over." But TLC hasn't said anything official about the show's fate. A spin-off series with some of the children is a possibility. 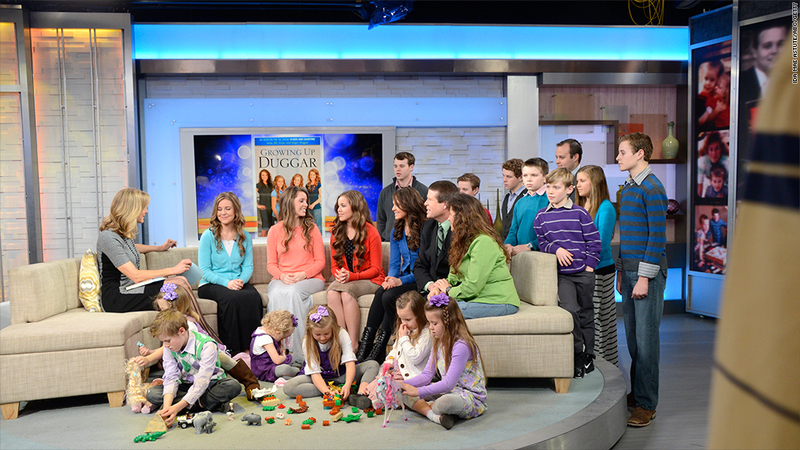 An interview by Jim Bob and Michelle Duggar may seek to tell their side of the story and make a future reality show more palatable. In a blog post on Saturday, the parents said that through the interview, they'd "share our hearts with you about the pain that we walked through as a family twelve years ago, the tears we all shed and the forgiveness that was given." They added, "We appreciate the outpouring of love and prayers for our family at this time."